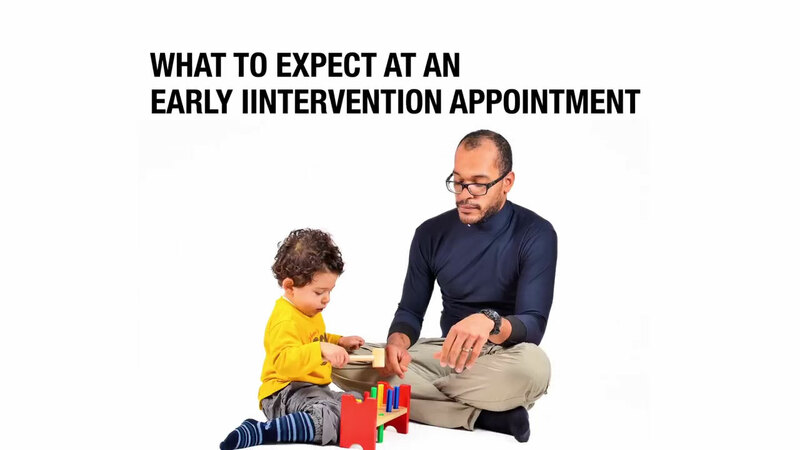 Blogger and mom Amanda Knickerbocker breaks down what a parent can expect at their first early intervention appointment. - During the first early intervention appointment, you will have an early intervention intake coordinator and a therapist come to your home, or if your state does it in a center, then you'll go to the therapy center. During this appointment, they will go over the milestones that your child should be reaching, the ability level that your child should have, and they'll discuss what needs your child has as far as therapy. There are three very specific kinds of therapy that are usually taken care of during early intervention. First is physical therapy, which is large muscle groups such as your arms, your legs, your trunk, your head control. Second is occupational therapy, which are small muscles groups such as the muscles of the mouth and the tongue, muscles in your fingers, and muscles in your toes. And then third is speech-language pathology. Speech therapy obviously works with speech, but it also helps with oral control and can help with feeding. During that first intake appointment, they will determine how often you need to have, your child needs to have therapy and what length that therapy should be. So they may determine that you need physical therapy three times a week for 30 minutes. Following that, depending on how your state runs the early intervention program, the therapist will either come into your home and do the therapy in your home, or you will take your child to a center to have that therapy done.